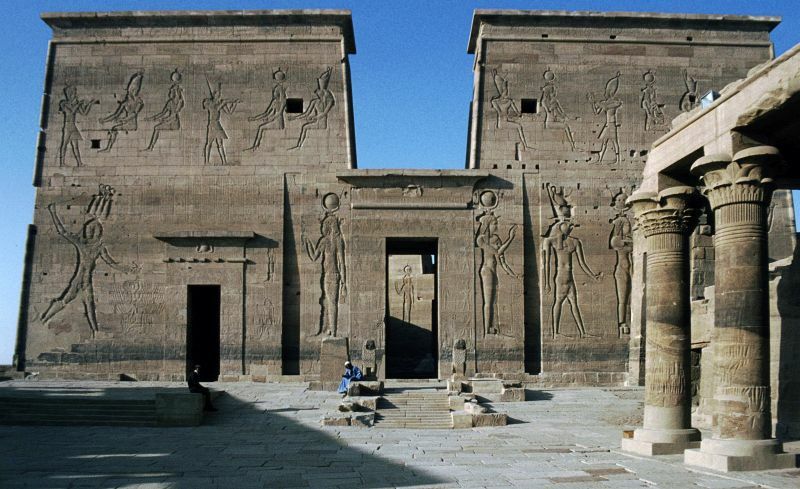 Philae, Greek: Philai; Ancient Egyptian: Pilak, is currently an island in the reservoir of the Aswan Low Dam, downstream of the Aswan Dam and Lake Nasser, Egypt. 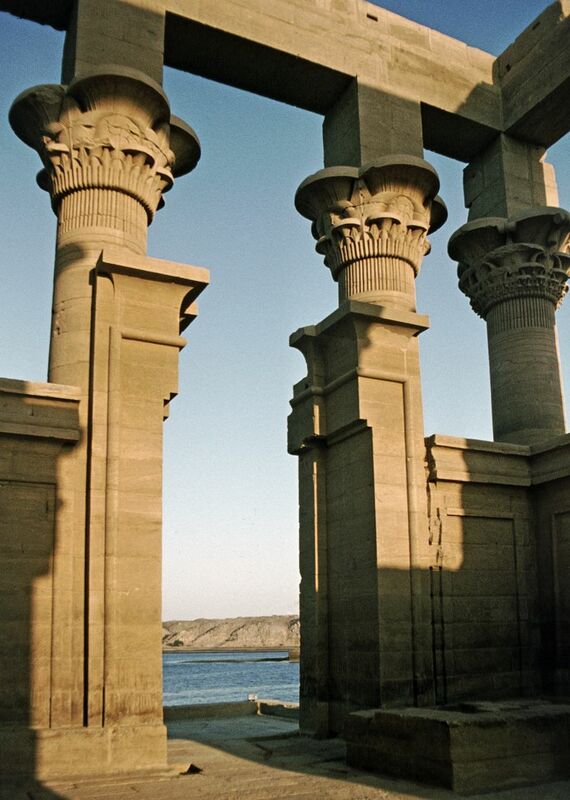 Philae was originally located near the expansive First Cataract of the Nile River in southern Egypt, and was the site of an Ancient Egyptian temple complex. 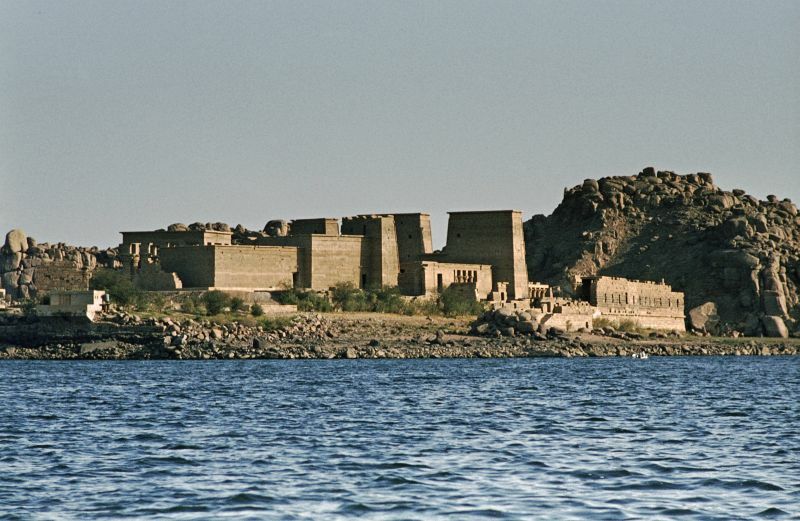 These rapids and the surrounding area have been variously flooded since the initial construction of the Old Aswan Dam in 1902. 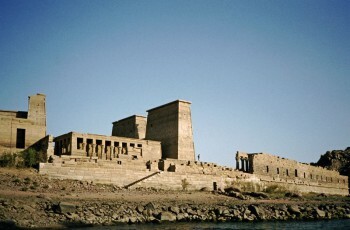 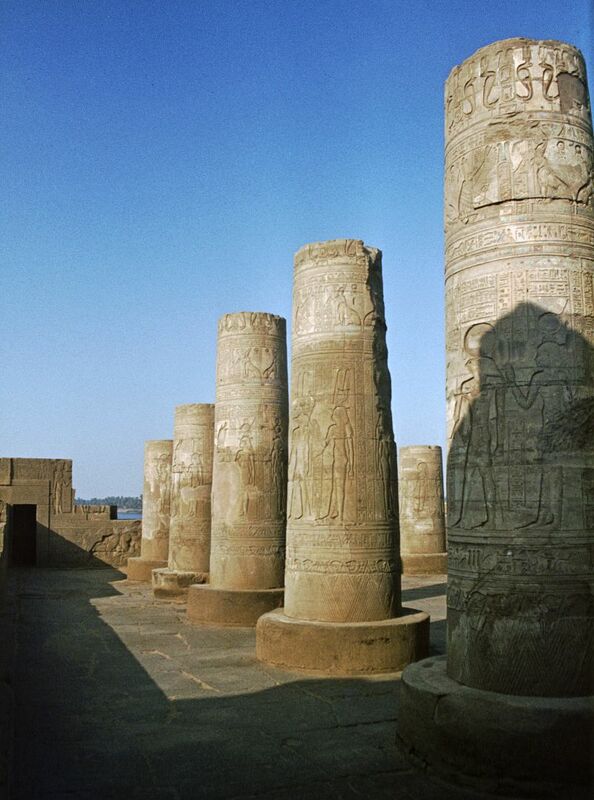 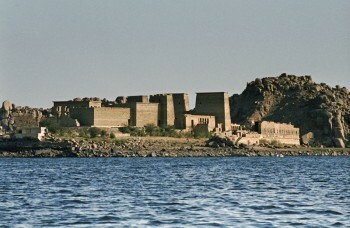 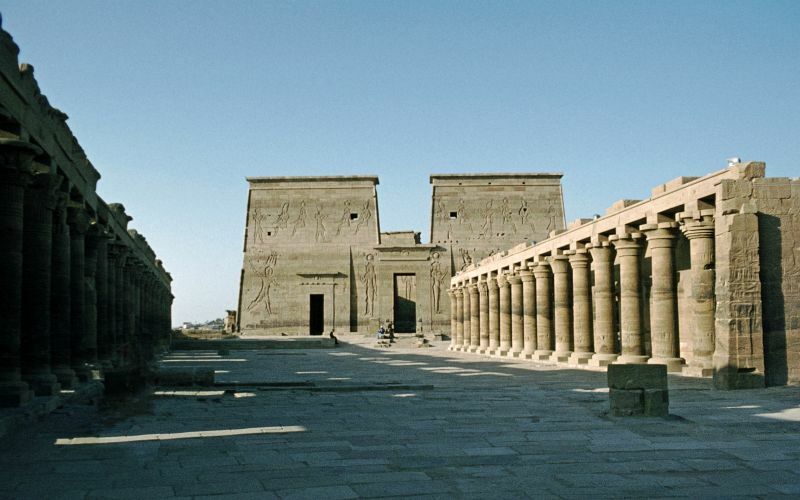 The temple complex was later dismantled and relocated to nearby Agilkia Island as part of the UNESCO Nubia Campaign project, protecting this and other complexes before the 1970 completion of the Aswan High Dam. 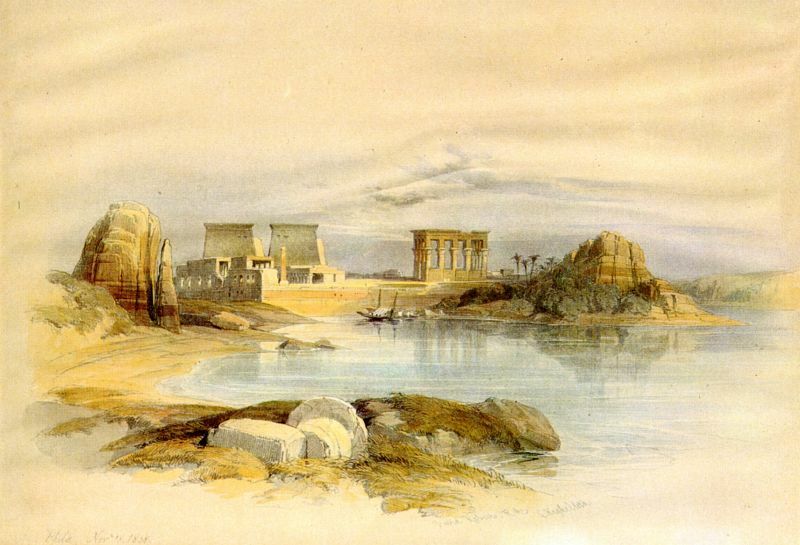 The ancient Egyptian name of the smaller island is Philak, or boundary. As their southern frontier, the Pharaohs of Egypt kept there a strong garrison, and it was also a barracks for Macedonian and Roman soldiers in their turn. 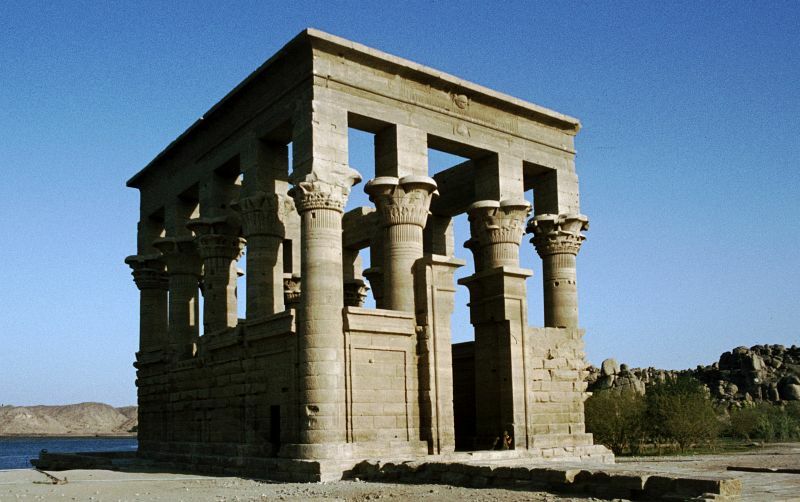 The first temple structure, which was built by native pharaohs of the thirtieth dynasty, was the one for Hathor. 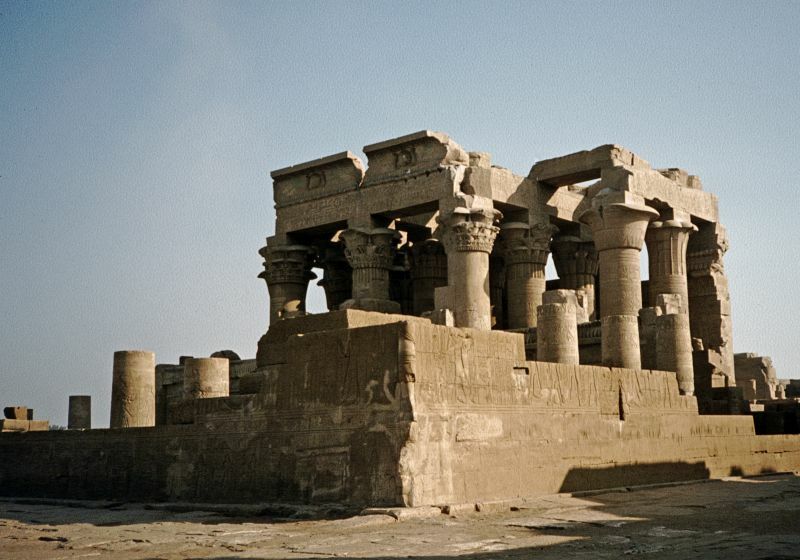 The island temple was built during the Ptolemaic dynasty. 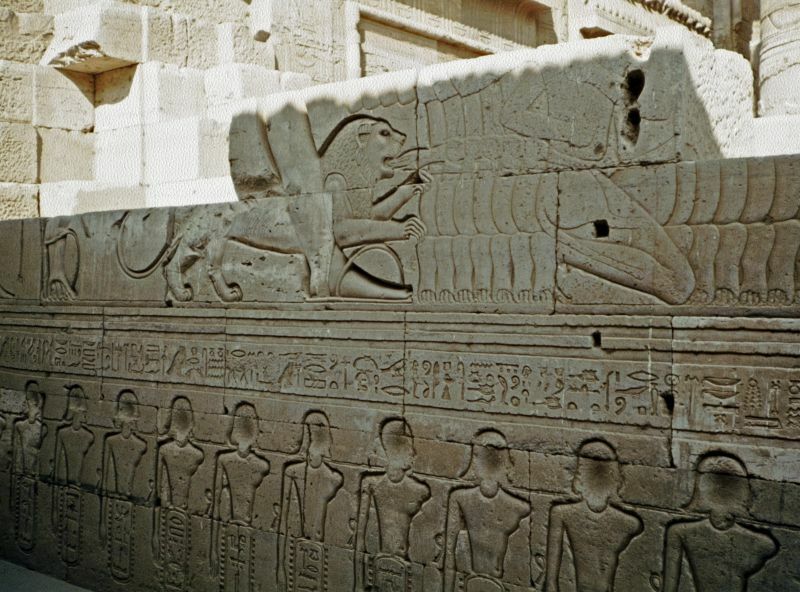 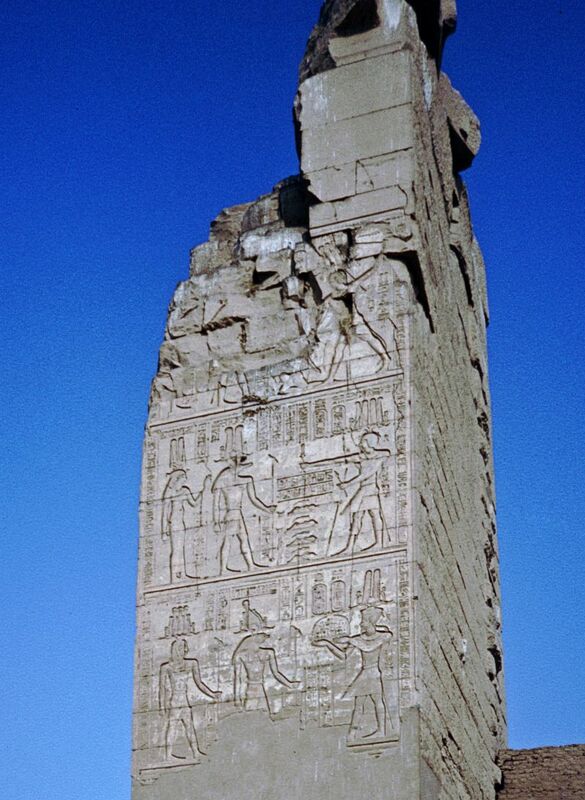 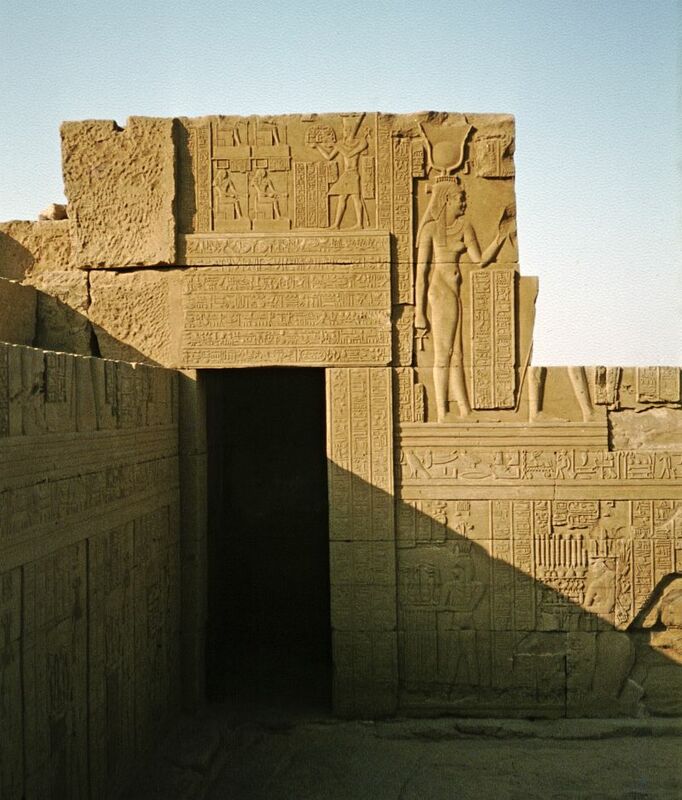 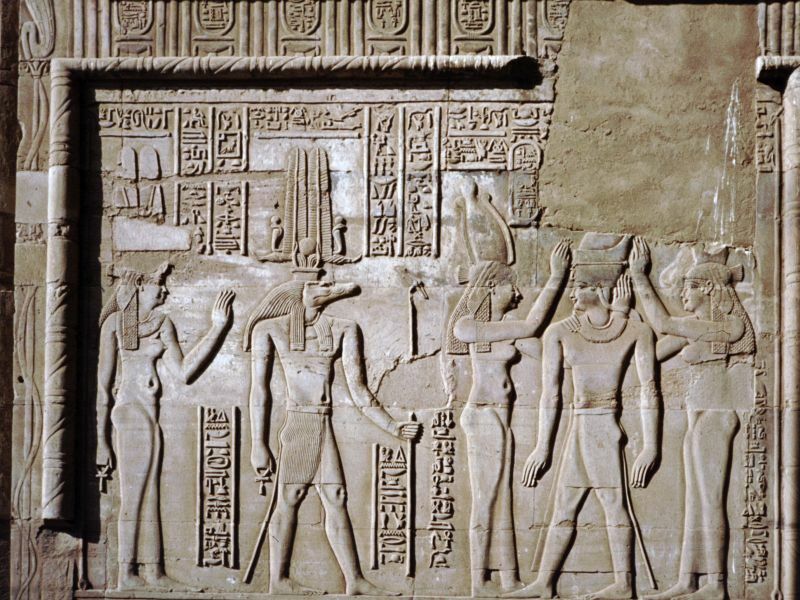 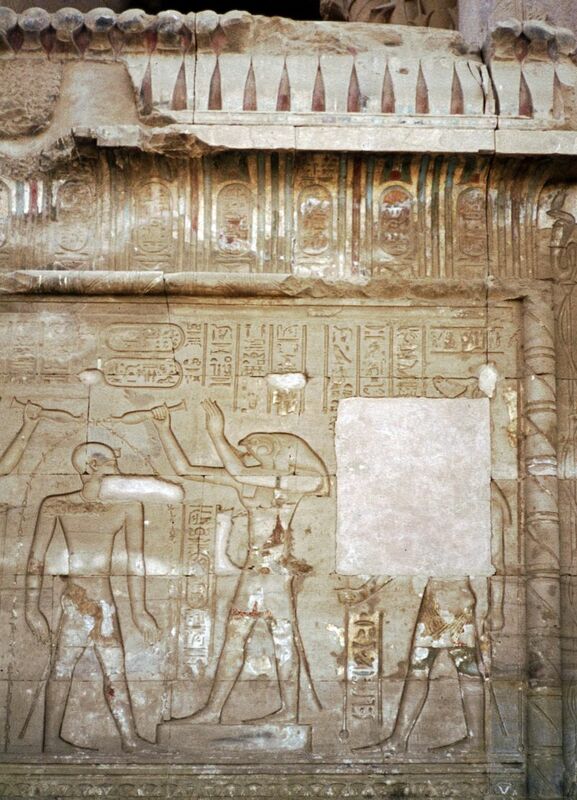 The principal deity of the temple complex was Isis, but other temples and shrines were dedicated to other deities such as Hathor and Harendotes. 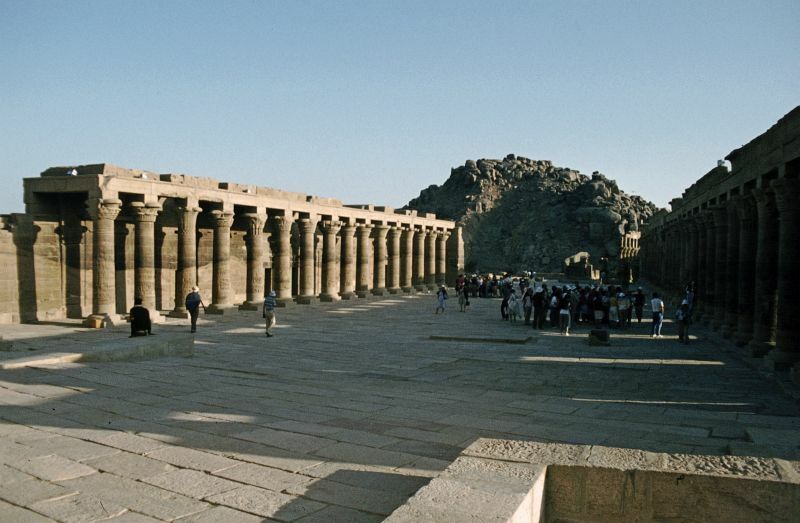 The temple was closed down officially in the 6th century AD by the Byzantine emperor, Justinian ( 527-565 AD ). 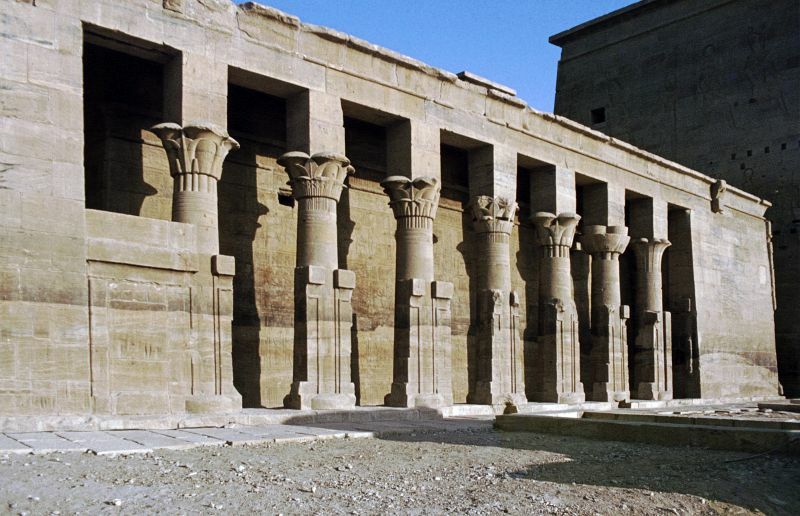 Philae was a seat of the Christian religion as well as of the ancient Egyptian faith.